May 5, 2015 mobile marketingretailing, social mediaRandi Priluck, Ph.D. 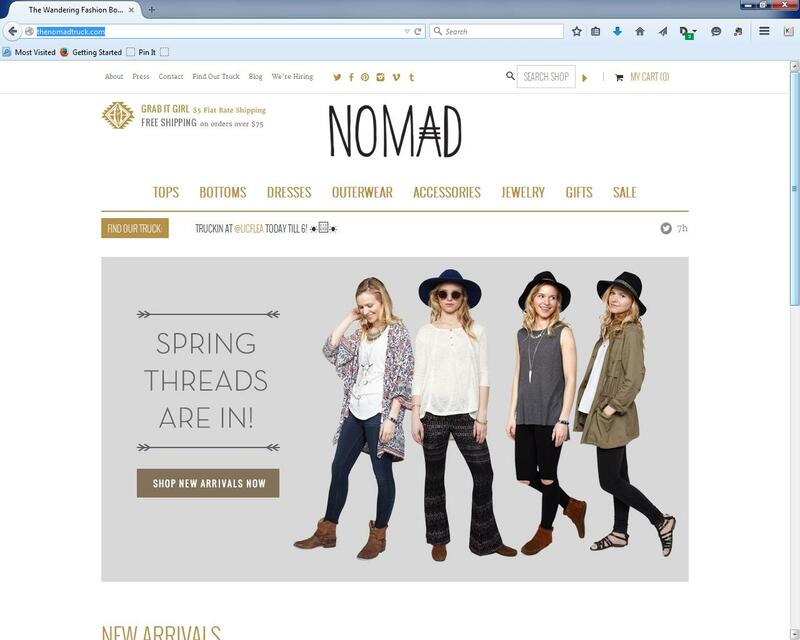 This past week walking around in great weather I stumbled upon Nomad. This is not your traditional pop up shop because it moves. 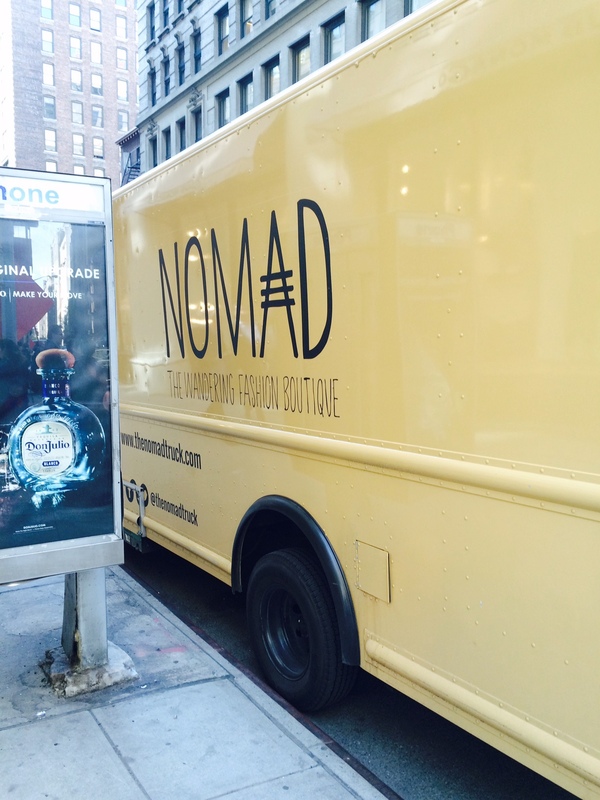 Located on the corner of Fifth Avenue and 21st Street this truck parked and sold clothing out of the back. 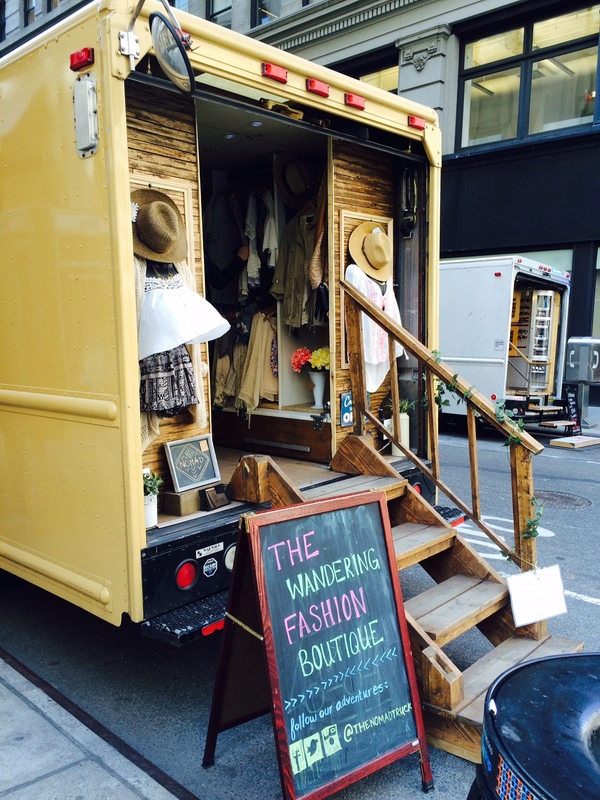 You can follow the truck on social media and see the fashion designs on the company website. Most of the time the company chooses the 5th Avenue location. I guess you can figure out why…. The point is that before social media and mobile it would have been difficult to run this kind of business because people would have trouble finding it. To get the word out the brand uses Twitter, Facebook, Tumblr, Instagram, Vimeo and Pinterest. This requires a lot of effort in many social networks. Interestingly the strategy is similar on each site with hip young people enjoying themselves, but the content is different. This small truck is creating a lot of visuals for the brand and rather than use a platform to upload the same material, there appears to be a separate strategy for each. Quite a lot of effort for a small brand, which these days really is the norm in attracting a following for the business.